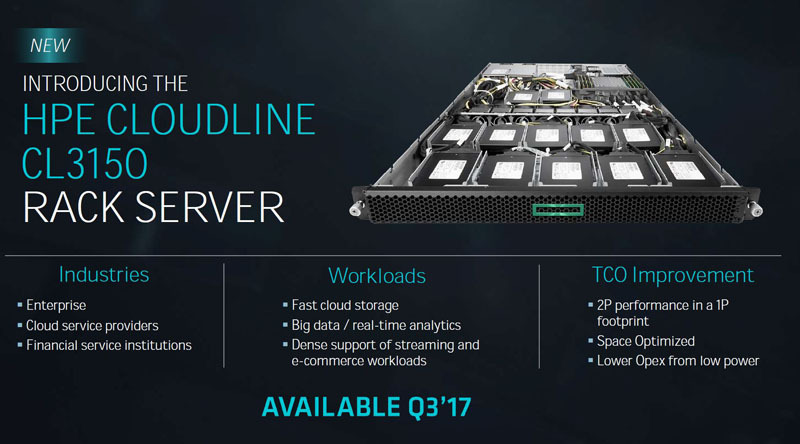 At the AMD EPYC launch on June 20, 2017 we were treated to a HPE and AMD collaboration for hyper-scale clients dubbed the HPE CloudLine CL3150 server. 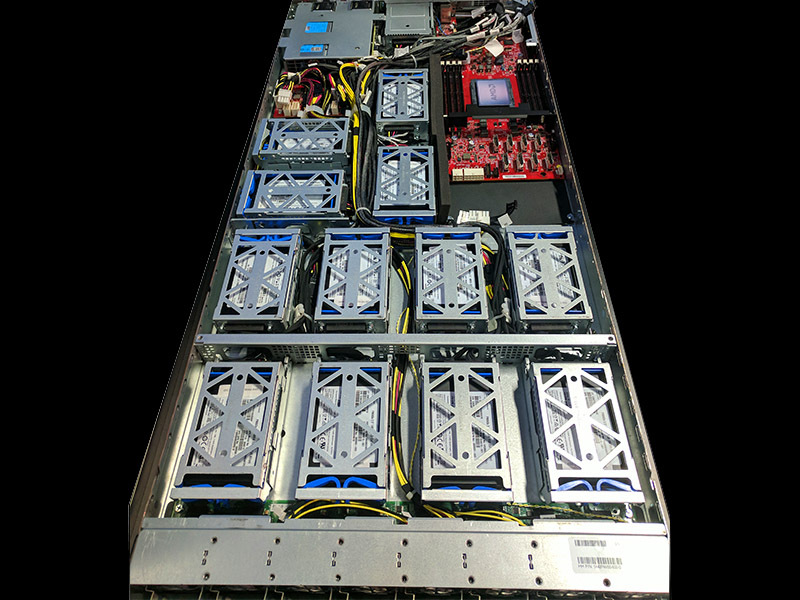 This is a 1U server with 24x NVMe SSDs designed for hyper-scale data centers. 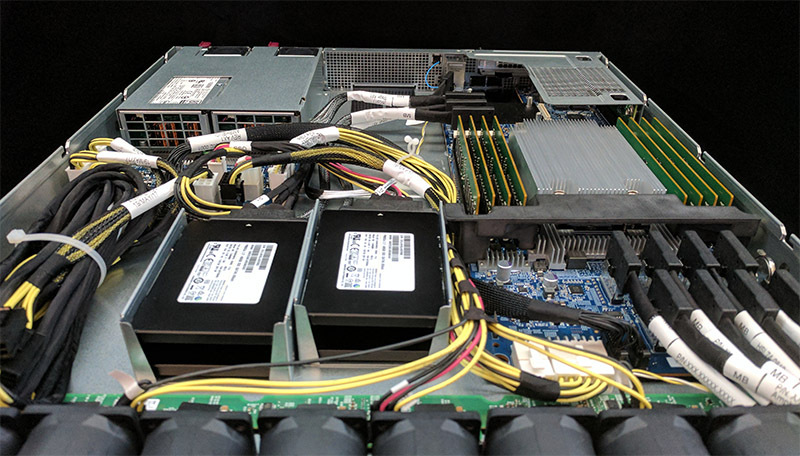 We recently discussed how this design did not support NVMe hot swap and instead is a fail in place design popular with hyper-scale data centers. At VMworld 2017 in Las Vegas on August 28 we saw an updated version of the system. As you can see, the SSDs are crammed in the chassis using a fairly rudimentary internal design. There are two SSDs per stack and twelve stacks, ten stacks before the fan partition and two after. We took a few photos of the system shown at the launch and here is an example of the two NVMe U.2 drive stacks on the other side of the fan partition. Fans in the VMworld 2017 design were at the front of the chassis instead of in a midplane partition. There is an additional rear accessible hot-swap cage for 2.5″ drives that seems intended for SATA boot SSDs. The version we saw at launch appeared as though it would be network booting. 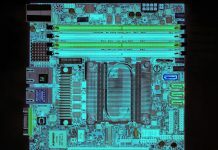 PCB on the VMworld 2017 version of the server was red while the June release was blue. 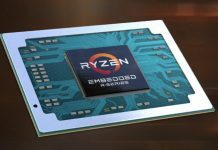 They seem like similar PCB and were not able to get clarification on which drive configuration would be shipping. These are the types of systems that are intended to have tweaks for BTO cloud customers. At the same time, it is good to see that there are significant design iterations occurring. 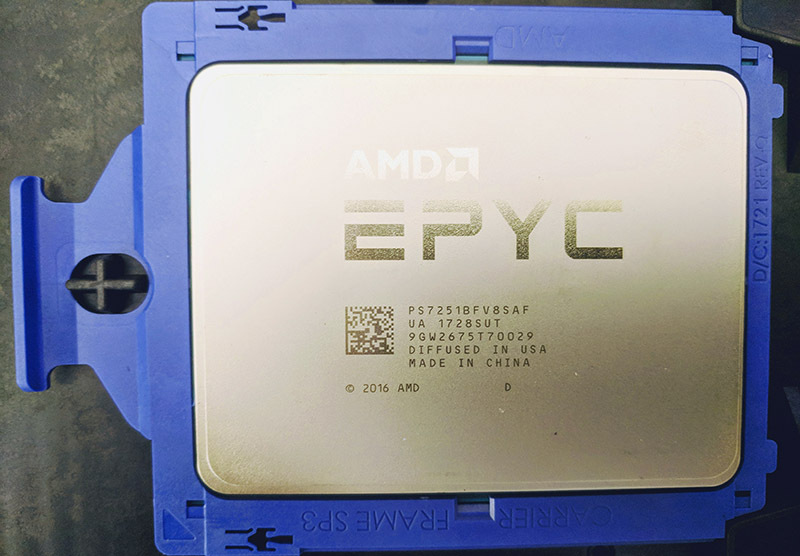 Also, we have been asked about the EPYC 7251 by those looking for an inexpensive CPU to power your EPYC storage server. We actually have a production version in the lab so we expect availability to be soon. With 24 Samsung PM963 2,5″ 7,68TB this looks like a nice NetFlix or other VOD box.